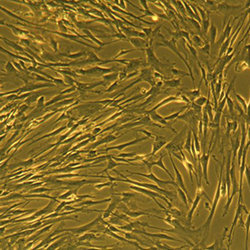 Lifeline® Normal Human Mesenchymal Stem Cells — Wharton’s Jelly (HMSC-WJ) provide an ideal culture model for the study of multipotent stem cell biology and differentiation processes. 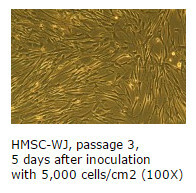 HMSC-WJ are isolated from Wharton’s Jelly of human umbilical cord and cryopreserved as secondary cells to ensure optimal phenotype and the highest viability and plating efficiency. The stem cells have been isolated, plated and expanded in culture vessels twice before being harvested for cryopreservation. HMSC-Wharton’s Jelly can be expanded in an undifferentiated state for future differentiation to multiple lineages. 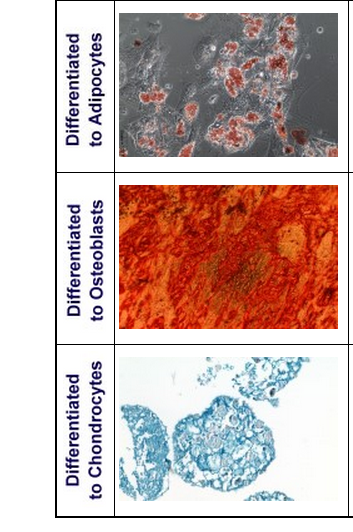 Lifeline® Human Mesenchymal Stem Cells may be differentiated down the typical mesenchymal lineages, such as adipogenic, chondrogenic, and osteogenic. Lifeline® Human Mesenchymal Stem Cells — Wharton’s Jelly are characterized by flow cytometry to ensure the proper expression of multiple markers of mesenchymal stem cells. They are uniformly positive for CD29, CD44, CD73, CD90, CD105, and CD166. They are uniformly negative for CD14, CD31, CD34, and CD45. Lifeline® has developed optimized media to expand the Human Mesenchymal Stem Cell products in the undifferentiated state, as well as optimized media kits for inducing Adipogenesis, Chondrogenesis, and Osteogenesis. Additionally, Lifeline® provides convenient staining kits for staining the fully differentiated cells.